With Gary Cohn out at the White House, Donald Trump can run the economy like the slapstick show he’s always wanted. The stars are Treasury Secretary Steve Mnuchin, Commerce Secretary Wilbur Ross, and Trade adviser Peter Navarro. These three stooges will surely provide the protectionist antics that make their boss laugh, but they’re a danger to the US economy. Treasury Secretary Steve Mnuchin is a sycophant. 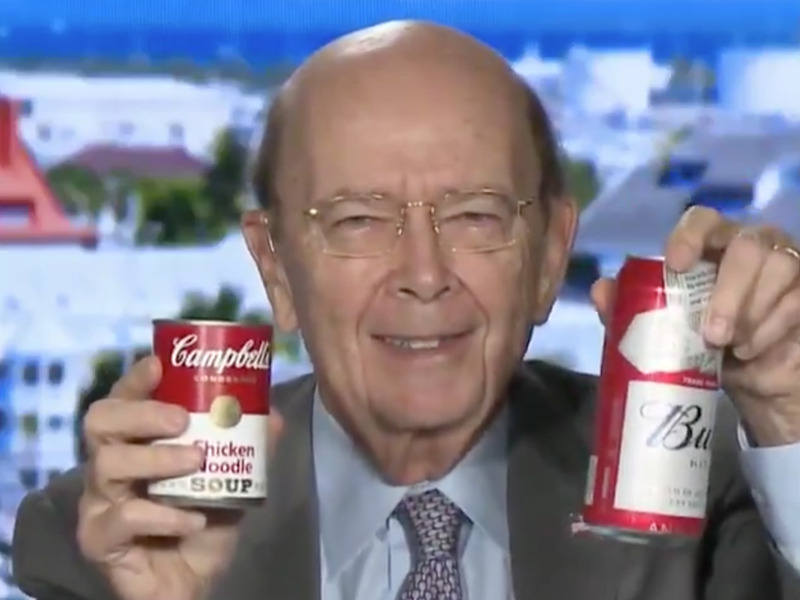 Commerce Secretary Wilbur Ross is a sycophant. 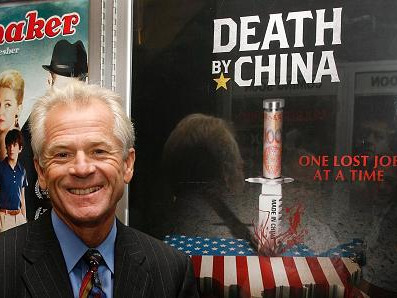 White House trade adviser Peter Navarro is a sycophant. And now, in an effort to please the President of the United States, they will put on a show in the White House. It will be billed as a show about the US economy, of which they are all now in charge. But it will really be a show about victimization, revenge, and some really good sound bytes – that’s the kind of show Donald Trump likes. There will be no facts, there will be fewer figures. They will tell the American people that trade wars “are easy to win” and have no consequences. They will tell the American people debt and deficits don’t matter. They will tell the American people whatever Trump, who thinks that people still get milk from the “local milk people,” tells them to say. The healthy debate Trump claims to foster in his White House is part of the joke. The debates will all end in agreement with him, and that means we’re in danger of starting a trade war that could spike prices at a time when the economy is already inflating. All of these men are ridiculous for their own reasons. I can’t even rank them. So when Gary Cohn, the administration’s soon-to-be-erstwhile economic adviser sidelined Navarro last year, Wall Street cheered. According to The Daily Beast he could be seen wandering the halls of the White House with a copy of his own book in hand. “The thing about Peter Navarro is that he was never a part of the group of economists who ever studied the global free-trade system,” Carnegie Mellon economist Lee Branstetter told me last year. With Navarro elevated and Cohn out expect the administration to take aggressive action, especially against China, every chance it gets. Navarro, like Trump, sees the US (the richest country in the world) as a global victim. Commerce Secretary Wilbur Ross, despite his years making money all over the world as a private equity globalist, has taken up that mantle as well. Ross spearheaded the White House’s investigation into aluminium and steel, which resulted in the market-scaring tariffs the administration is set to announce. The investigation itself frustrated Cohn and other members of the administration, according to Axios. That’s because Ross left out all of the bad repercussions of steel and aluminium tariffs – he wrote the narrative Trump wanted to hear. And now we’re here. It’s unclear why Ross is doing what he’s doing, but we do know that he has deep ties in the steel industry. Back in 2004 he made $US2 billion selling his steel businesses to AcrcelorMittal. He sold his stake in the company and stepped down from the board last year. Arcelor Mittal executives, however, contributed heavily in the testimony leading up to Ross’ report. Naturally they were in favour of steel tariffs. It is here that we should also note that Trump and Ross have been friends for years. One thing they share in common is their tendency to grossly exaggerate their wealth. Trump sued a journalist who claimed it was around $US250 million (not the $US10 billion he claims) and lost. Ross was recently caught in his lie. His financial disclosures proved that he’s been inflating his wealth to make the Forbes Billionaire list for years. This kind of deep seated insecurity should be examined by a psychologist, not a journalist. Finally there is Treasury Secretary Steve Mnuchin. Relying on him to counter President Trump is like relying on a wet blanket to keep your body warm on a camping trip through Siberia. He comes from a line of rich Wall Streeters, and his resume includes a solid contribution to the mortgage crisis as well as production credits on movies like Lego Batman and Suicide Squad. Despite being groomed at the free trade, global facing firm Goldman Sachs, he has been parroting Trump’s nonsense on trade just as he was parroting the administration’s nonsense on deficits and tax cuts. He’s also married to this woman, so I imagine he hasn’t practiced saying “no” in a long time. Republicans, in their desperation to win an election, all fell in line behind Trump. Their foolishness has a price. They thought they could have their base and eat it too – that is to say, keep the mass of Trump voters in their bloc but legislate to their detriment (see: tax cuts that benefit the wealthy more than anyone else). But that was not actually the deal they made. They voted for a showman who basks in the adoration of his base, and now they have a show where he will respond in kind. That means his populist rhetoric will now take action, center stage. It doesn’t matter that the content lacks any kind of substance, or that it disagrees with the GOP’s leadership. The result of this will be an extension of lost years. When the bottom fell out in 2008, the entire world was forced to put progress on hold and row in the same direction toward recovery just to stay afloat. Ten years later we’ve begun to to turn the corner. We can invest in growth and progress again. But that’s not what we’re doing. Instead we’re fighting with our allies and denying climate change. We’re supporting dying industries and starving growing ones. The most clear illustration of this waste and regression comes from comparison. Back in August the White House initiated an investigation into China’s theft of US intellectual property. It’s a real problem, that requires a globally coordinated solution. No matter, with Navarro at the helm we will go it alone, likely putting tariffs on a swath of Chinese goods in the next few weeks, resulting in a trade war. China’s Foreign Minister has vowed to retaliate in the event of a trade war, but that’s just half the story. The other half is what China is already doing. On Monday the country kicked off its Communist Party meeting of the year, The National People’s Congress. During the meeting China’s leaders outlined their goals for the future. Their goals make our goals look stupid. While our President is extolling the virtues of “beautiful clean coal” and “loving” trade action China is vowing to cut down on air pollution and investing in teaching young people about artificial intelligence. We are not even competing with that, which is almost to say we’ve already lost. Mnuchin, Navarro and Ross are hardly the men to set this right. They are clowns performing slapstick economic policy for an audience of one. It’s a joke that never had any intention of being funny.